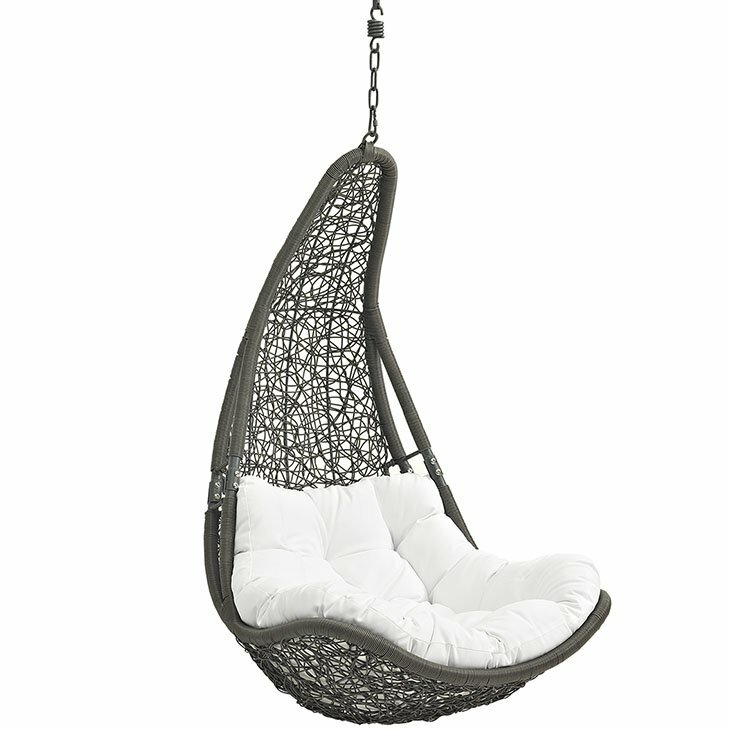 Escape to a place of quiet comfort with the Abate Swing Chair. Made with a luxurious synthetic rattan weave, and plush all-weather fabric cushion, Abate's organic design inspires simple joys and pleasurable moments. Abate comes with a sturdy powder-coated steel frame and hanging chain apparatus that works well to enliven your patio, backyard, porch, or poolside décor. 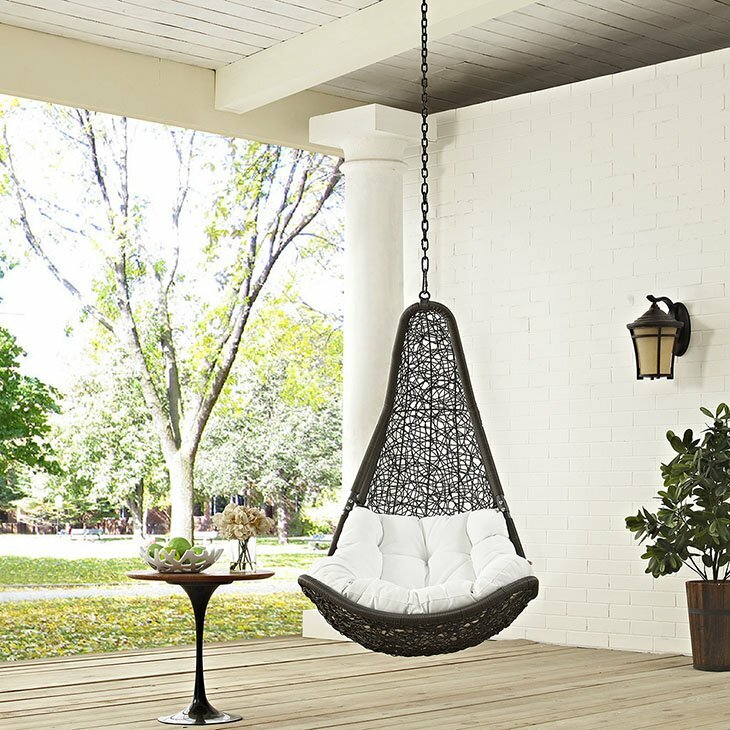 Stand-alone swing hammocks are also popularly used in indoor lounge, living, or bedroom spaces. Abate is weather and UV resistant.